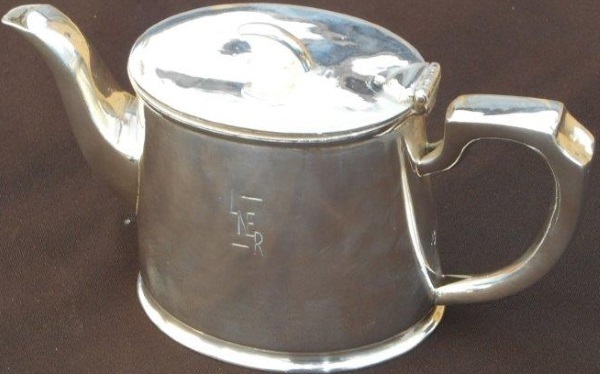 Lot 37 LNER 'Coronation' Small Half Pint Teapot by Walker & Hall. The side clearly displays the "LNER" Art Deco lettering. Re-plated to fine condition.